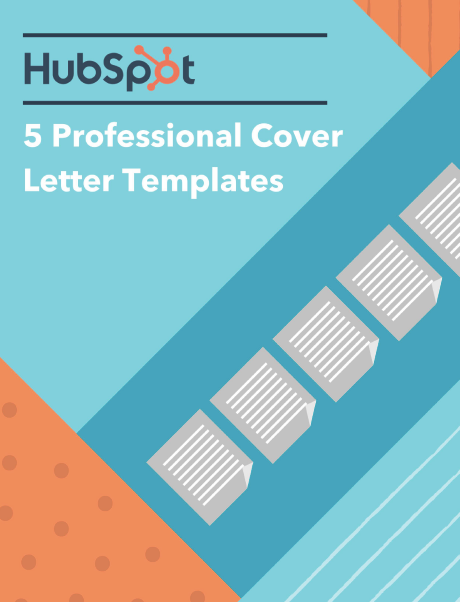 Unlock five time-saving cover letter templates today. 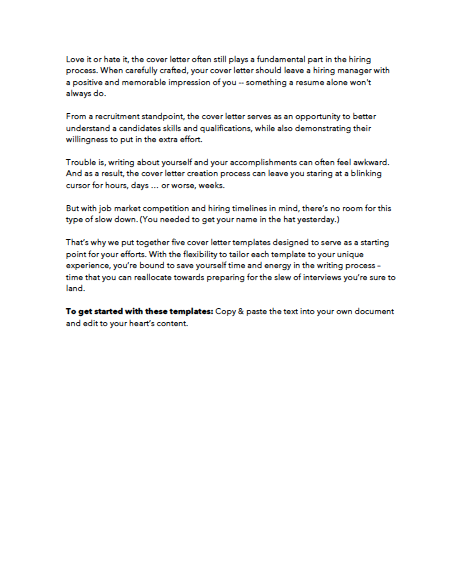 Save time writing your next cover letter. Whether you're just joining the workforce or looking to make a mid-career pivot, the act of job hunting can (and often will) trigger feelings of stress. It all starts with the daunting task of polishing up your resume, which leads to the time-consuming task of crafting tailored cover letters for each application you submit. But your cover letter isn't something you want to skimp on. After all, an effective cover letter provides you with an opportunity to exercise your creativity and highlight your qualifications at the earliest stage of the recruitment process. 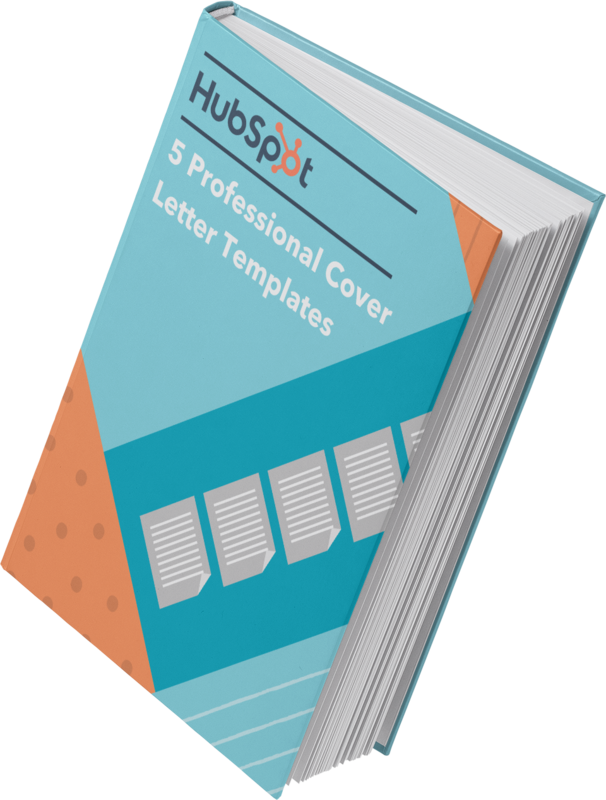 That's why we put together five fill-in-the-blank cover letter templates to make it easier for you to get started. 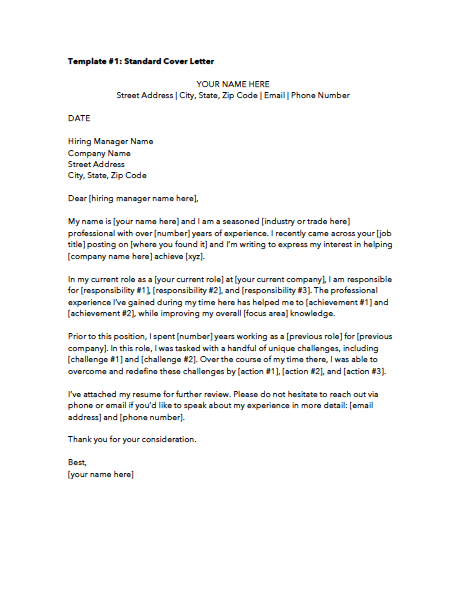 These templates provide a foundation for your cover letter, while still enabling you to customize it as you see fit.